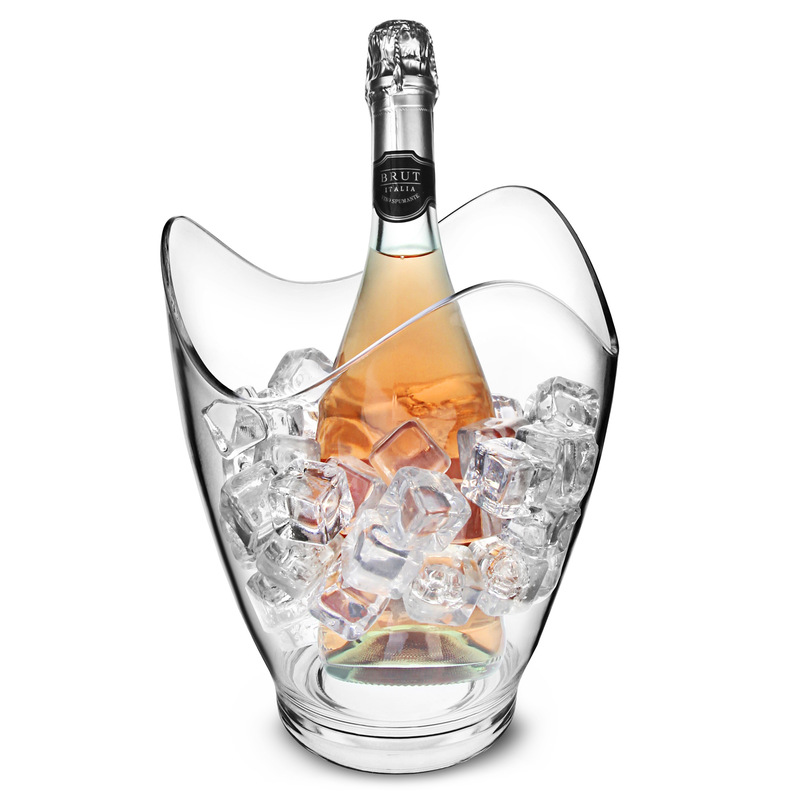 Finished with a distinctive scalloped rim, the ever stylish Glacier Acrylic Curve Wine Bucket brings a touch of elegance to chilling a bottle of wine or champagne. With a durable acrylic build, this wine cooler is break resistant and shatterproof for impressive endurance in use. 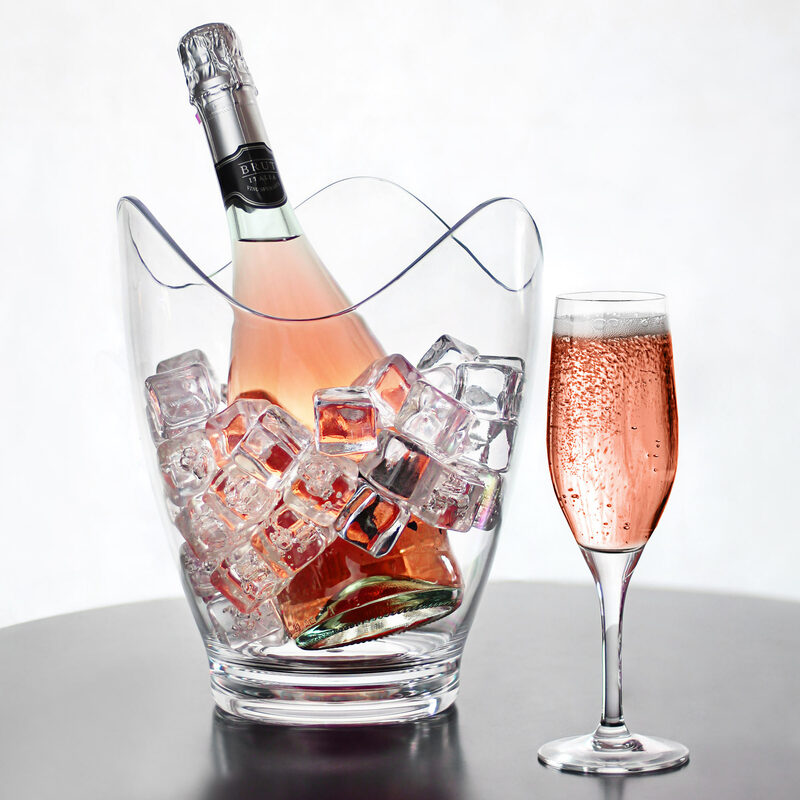 These design features allow this champagne bucket to be used at parties, BBQs or outdoor events. 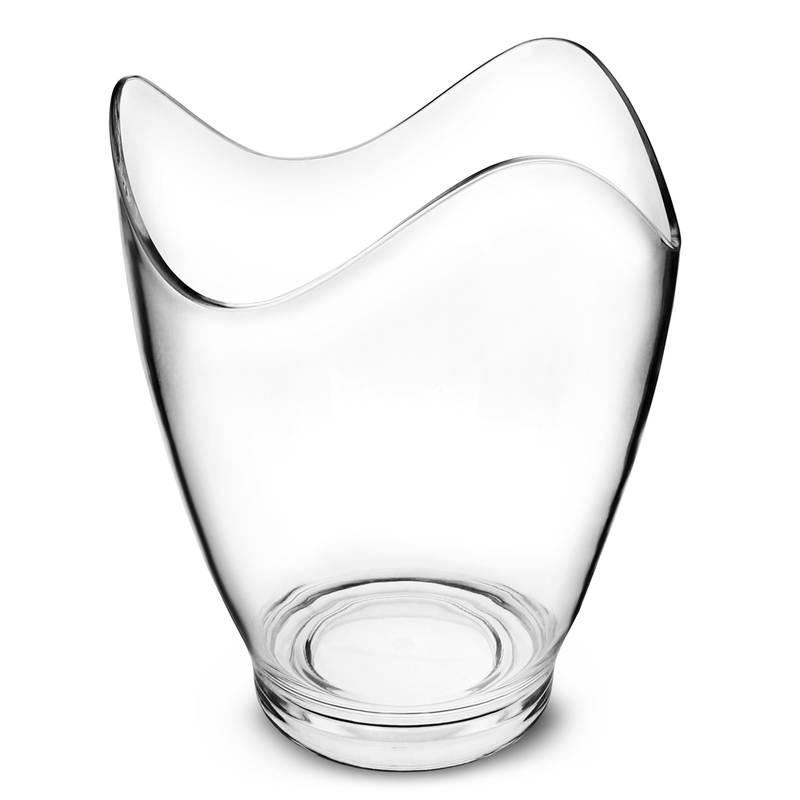 The sophisticated modern look also lends itself to formal dinner parties.